A group of 300 plumbers took action this weekend in Flint, Michigan, after authorities took months to react to dangerously high levels of lead in local tap water. 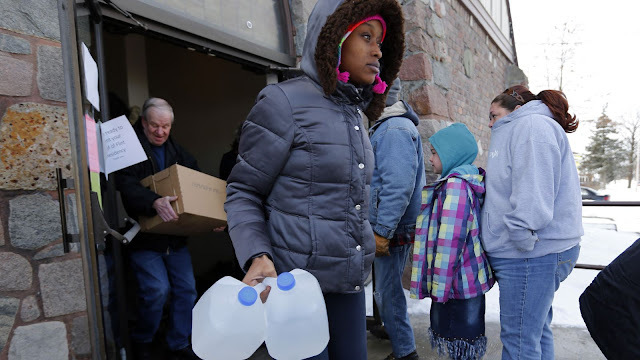 Members of the union Plumbing Manufacturers International distributed and installed hundreds of faucets and other donated plumbing supplies, as well as Brita water filters, to Flint residents on Jan. 30, MLive reports. New faucets are necessary in many Flint homes, as the existing ones often can’t accommodate water filters furnished by the state–although in some homes the level of contamination has far exceeded their filtration ability. “PMI is proud to join with its members and the UA [United Association of Journeymen and Apprentices of the Plumbing and Pipe Fitting Industry ] to put our vision of safe, responsible plumbing into action,” Barbara Higgens, the head of the union, said in a statement. In 2014, Flint switched its water supply from the larger Detroit system to the Flint River, as a cost-cutting measure for the struggling city of 100,000. Residents quickly started complaining about the water’s taste, smell and color, but authorities ignored warning signs for months. It turned out that the water was contaminated with lead, due to improper treatment. In some case, the level of lead was 4,000 parts per billion: more than 260 times the amount that the Environmental Protection Agency requires to take action. In December 2015, the city declared an emergency. In January 2016, so did president Obama, who allocated federal aid to mitigate the effects of the crisis.